Update: All Pakistan Mobile Union held a meeting with Minister of State for Revenue Hammad Azhar on Tuesday. It was then decided that mobile phones will not be blocked and users will be able to use them, despite the PTA deadline being 20th October. The Minister ensured the delegation that they will be able to continue trade in used mobile phones from other countries after law amendment for the particular trade. Meanwhile, an official source has stated that IMEI blocking has been postponed for the time being. An official statement from PTA is expected to be rolled-out soon. Pakistan Telecom Authority (PTA) has recently taken prompt action to cut down on the number of crimes across the country. PTA announced that all SIM based-devices, if not legally registered will shut down by 20th October. How To Register Your Mobile Phone With PTA? 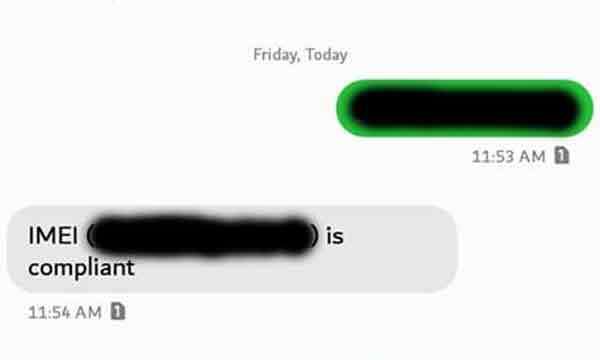 An SMS was also rolled out by PTA claiming that non-compliant devices will not work after the given date. 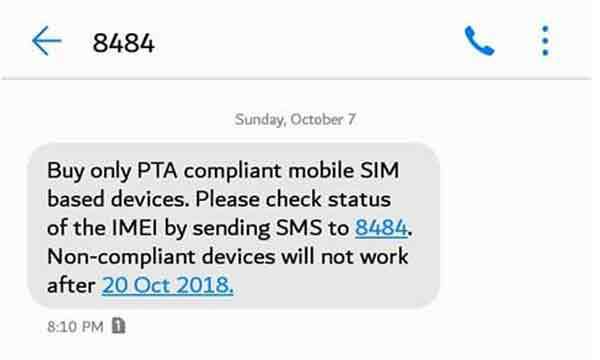 The message also states that in order to check the status of the device, consumers can SMS the device’s IMEI number and send it to 8484 – PTA’s official number. If in case the device’s IMEI number in non-compliant, PTA’s automated message will be generated as followed. 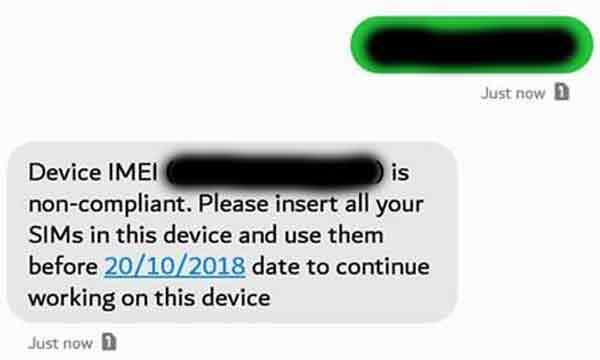 In order to auto pair all the IMEIs related to this mobile device, it is advised to do at least one revenue-generating activity from all SIMs on your name which you want to use in this mobile device, i.e. make a call, send an SMS or use mobile internet from your SIM(s) before 20th October, 2018. In dual (or more) SIM mobile device(s), the revenue-generating activity must be made using all the SIM slots for the mobile device(s) to be auto-paired. You can also visit the PTA website to register or check the status of your phone or through PTA’s mobile application. 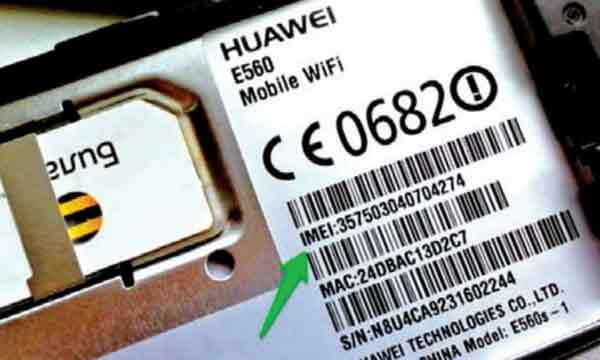 You can check your IMEI number by dialling *#06#. IMEI numbers are also posted on the bottom of the box. Users can also access their IMEI numbers by clicking on ‘Settings’, then selecting the ‘System’ or ‘Status’ option. Once selected, users can click on ‘About Phone’ and locate their respective IMEI number(s). 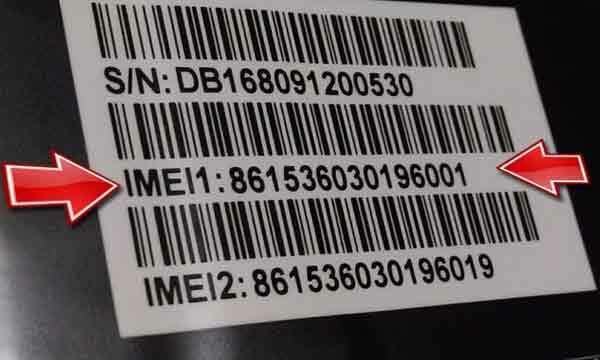 For those who have feature phones or removable-battery smartphones, you can locate your IMEI numbers by removing the back case, then remove the battery, and find the sticker with the number. Information Minister Fawad Chaudhry on Thursday announced that the government has decided to crack down against smugglers of mobile phones in Pakistan. According to PTA’s stats, the number of mobile phone users in the country reached 151 million by July 2018. The number of mobile broadband subscribers was around 60 million during the same period. By 2017, over 30 percent of Pakistan’s population was covered by the 4G network. The country saw a dramatic increase in mobile broadband penetration over the past five years, with market penetration increasing from below one percent in 2012 to 24 percent in 2017, an IT official was quoted as saying earlier this year. Is your device PTA compliant? Check the status before it shuts down!